Student life at NSU is a rich tapestry of experiences. The division of Student Affairs is the hub where it all comes together to create an engaging campus experience. Whether it’s academic, personal, social or career, you’ll discover how and where to make the most of your life at NSU. At NSU, we pride ourselves on being authentic and student-centered. It’s what we call “The Northern Way.” To learn more about what we have to offer, explore the departments and services in the links below. At Northern, it's more than your time to learn. It's your time to lead. NSU student groups are a place to learn, share, contribute, and make connections. Visit Student Involvement & Leadership to discover ways to explore new interests and test your strengths at Northern. The residence halls at NSU are super comfortable, safe and clean. We can't wait to welcome you on Move-in Day! Experience a Move-in Day in the video at right, or explore our halls below. 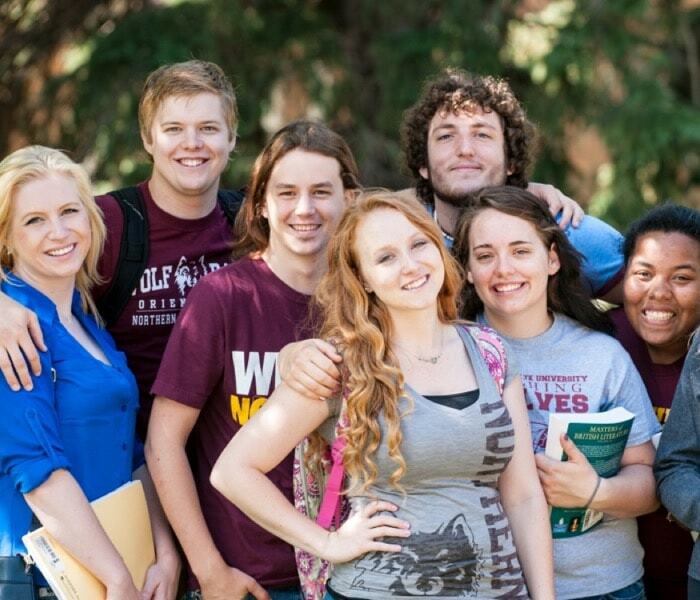 Northern is home to students from dozens of states and many different countries. Clubs and activities outside of the classroom offer a diverse learning opportunity and the chance to express a variety of points of view in a mutually respectful environment. Safety and security is important at Northern; that's why we have a Campus Alert System for all students, faculty, and staff. During an emergency, critical emergency-related alerts are sent directly to users' cell, home, and/or office phone or email. Visit NSU Campus Alert to register to receive critical information updates.